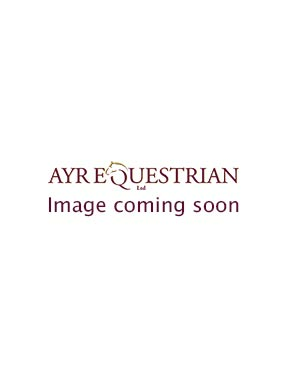 The Schockemohle Equitus Alpha Anatomic Bridle is a new and updated version of this ever popular long standing bridle. Designed with the new anatomical shape, this gorgeous bridle combines style and quality to offer all you need in a statement bridle. Suitable for every day riding or wear in the show ring, the Equitus Alpha bridle - just as with the rest of the Schockemohle range - is manufactured in the highest quality leather. Featuring a wider brow and noseband to spread pressure over a wider surface area this practical bridle also benefits from a curved caveson which bypasses the main facial nerve. Including soft padding throughout, the Equitus Alpha Anatomical bridle also offers the ultimate comfort for your horse. A must have addition to every tack room!